Our work bridges the gap between technology developers, R&D organizations, and private firms. Services focus on improving the bottom line through concepts like Six Sigma and Lean Manufacturing, while growing the entire company through new product development, strategic planning and expanded markets. Manufacturing extension agents and applications engineers live and work in communities throughout Oklahoma. They are uniquely trained and offer free assistance to manufacturers, helping the company become progressively more successful. The Oklahoma Manufacturing Alliance coordinates Six Sigma Black Belt and Green Belt training. From marketing efforts to human resources, the Manufacturing Alliance calls on a comprehensive network of private consultants and public service agencies to assist manufacturers. Manufacturing extension agents can work with companies on financial arrangements for capital improvements and business expansions. Manufacturing extension agents help connect manufacturers and create a more vibrant economic collaboration. In addition, they coordinate local manufacturing councils, a valuable network that allows companies to talk about common challenges and share ideas. A variety of support is available including assistance with compliance and industry certifications, like ISO. 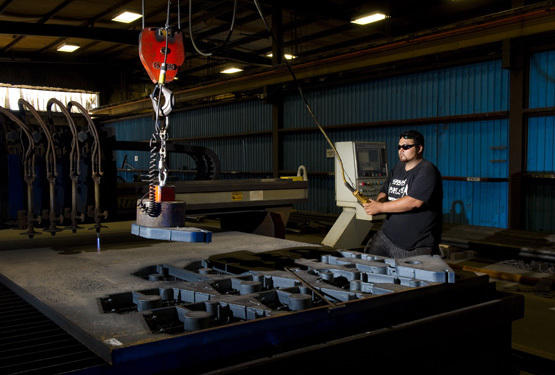 The Oklahoma Manufacturing Alliance works with companies to improve their bottom line through concepts like Lean Manufacturing and Six Sigma, while growing the entire business through new products and continuous innovation.